Check, Please! Bay Area Season 13 episode 14 airs Thursday, October 11 at 7:30pm on KQED 9. See other television airtimes. And never miss an episode by subscribing to the video podcast. In this episode, authentic Portuguese flavors take us to our first spot: Uma Casa Restaurant in San Francisco. And for the seasonal Indian-cuisine-with-a-twist, we stay in San Francisco for a trip to Ritu Indian Soul Food. Finally, it’s all about cheesy macaroni, in all its glorious variations, at Homeroom Mac + Cheese in Oakland. My name is Leslie Sbrocco and I'm the host of Check, Please! Bay Area. 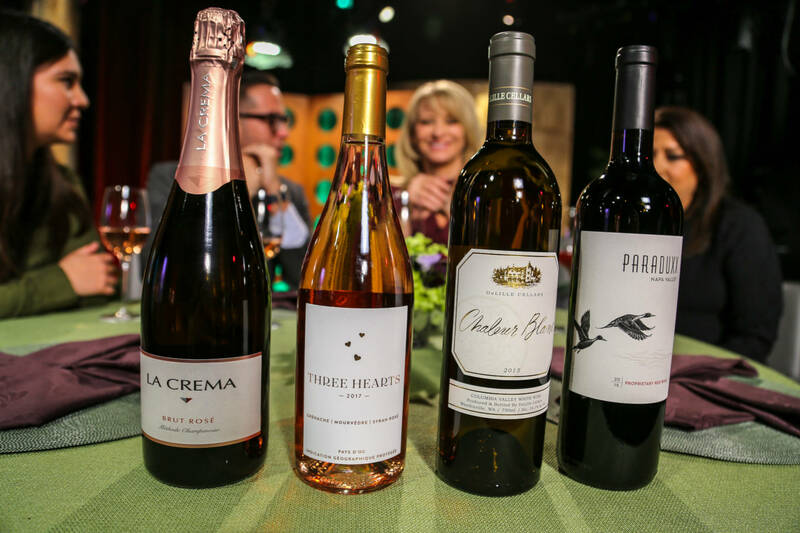 Each week, I will be sharing my tasting notes about the wine, beer, and spirits the guests and I drank on set during the taping of the show. 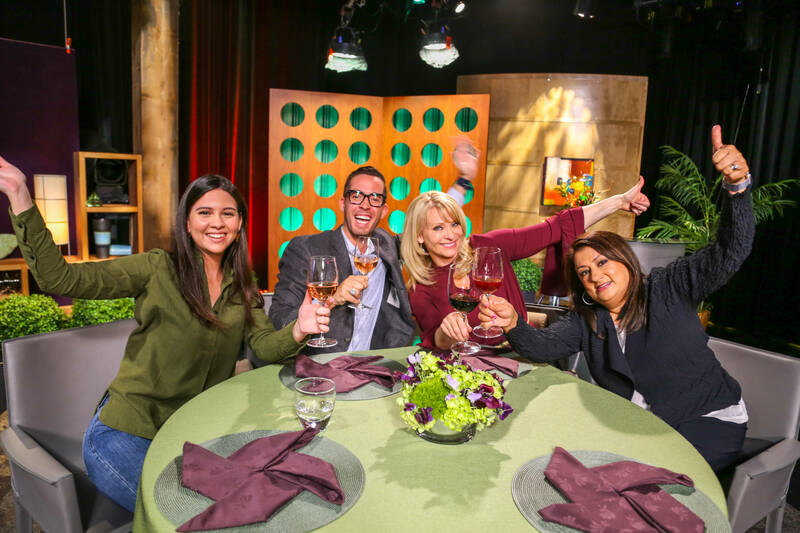 I will also share some wine, beer and spirits tips with each episode. This week I discuss: wines in a can. La Crema is known for its primary focus on California Chardonnay and Pinot Noir. This limited-production sparkling wine, however, has found a home in Oregon’s cool-climate Willamette Valley. A blend of the winery’s signature grapes, the Pinot Noir-forward bubbly is a beauty. Full disclosure...this near-perfect Rosé is a personal collaboration. As the first foray into crafting my own label, I partnered with a wonderful company, Traveling Vineyard. I’ve been a lover of refreshingly dry pinks for decades so I knew I wanted to make a wine dedicated to this style. A blend of the traditional red varieties of southern France, this Grenache, Mourvedre, Syrah trio makes for a structured yet succulent pink that’s oh so easy to drink. It also has enough power to pair with fall foods from smooth squash soups to roast pork with apple chutney. Keeping with the trio theme, Three Hearts is named for the special relationship I share with my daughter and my mother. Grab a bottle and toast to the three hearts in your life! More than 15 years ago I discovered the elegant power of wines from Delille Cellars. A Washington state icon property based in Woodinville outside Seattle, DeLille focuses on Bordeaux-style reds and whites that showcase New World flavor wrapped with Old World finesse. This stylish white is a marriage of mostly Sauvignon Blanc with Semillon grapes. It teases with floral aromas then serves up a one-two punch of baked apple fruitiness and toasty spice notes. It’s a wine to indulge in now for a treat, or cellar for a few years. If I were to choose one California company whose entire portfolio consistently performs to world-class standards, Duckhorn would be it. Their lineup – from Goldeneye to Migration and Decoy to Paraduxx -- not only deliver great value but rank among the world’s most highly-lauded. This Napa-centric blend leads with Cabernet Sauvignon supported by Merlot, Zinfandel and Petit Verdot. It’s an eclectic mélange of red grapes creating a deeply-hued, richly-textured wine that’s about pure drinking pleasure.